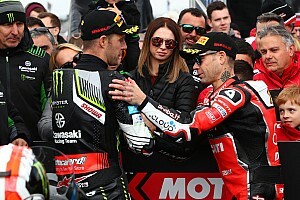 It’s been a blistering start for Ducati and Bautista in 2019, with the new partnership having won all six races held so far at Phillip Island and Buriram - posing a serious challenge for the other manufacturers, not least of all the all-conquering Kawasaki. But with 11 rounds still to go, can Ducati and Bautista continue their dominance of the series and bring home the title that eluded the Italian marque with the old V2 Panigale R? 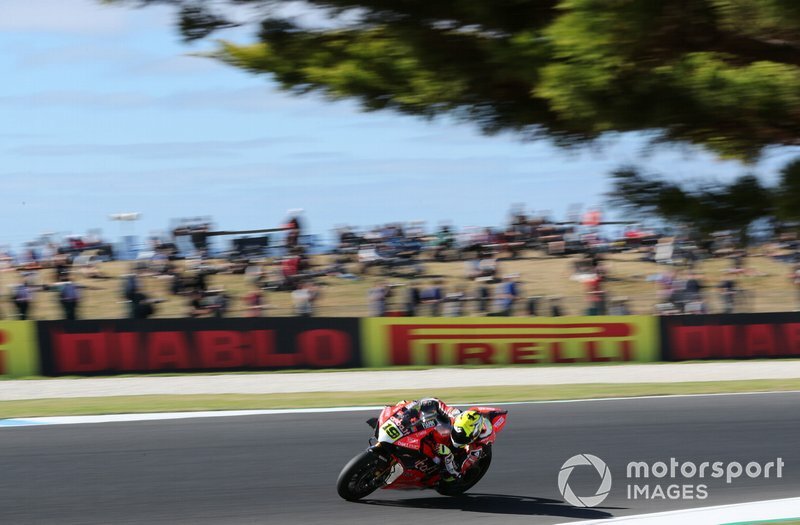 Bautista’s performance at the season-opening Phillip Island round was nothing less than sublime, as he won the inaugural Superpole race and the two main races in style by a huge winning margin over reigning champion Jonathan Rea. It was made even more impressive by the sheer challenge of Phillip Island, a track notorious for producing unpredictable racing and being difficult to set a bike up for. Yet Ducati and Bautista rose to the occasion and aced the weekend, the Panigale never looking out of shape in the Spaniard’s capable hands. The same could not be said for teammate Chaz Davies, who so far just hasn’t been able to gel with the new bike, but that’s a story for another time. Few were expecting such a level of pace and consistency from the new V4, an almost experimental bike that does away with Ducati’s classic v-twin engine configuration and certainly bucks the trend of recent winning superbikes sporting in-line four engines. 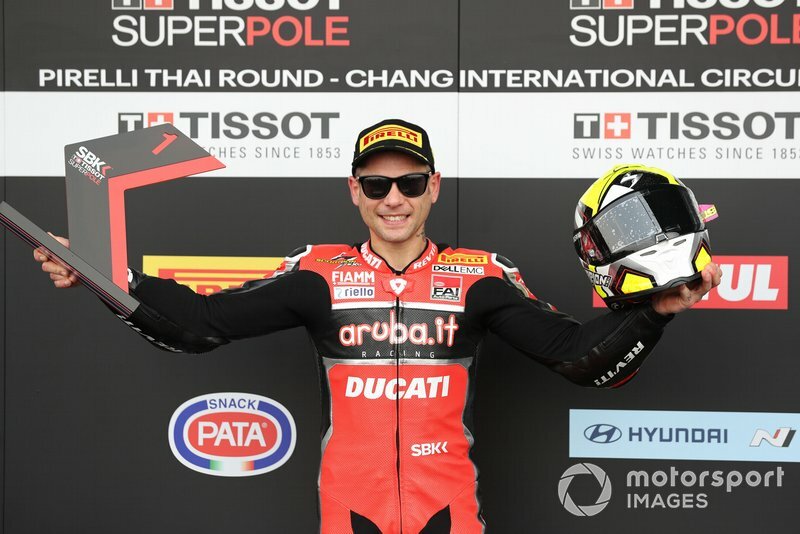 Bautista’s form continued in round two at Buriram in Thailand, as this time he took pole by four tenths of a second from Rea but having more of a fight on his hands in the races. 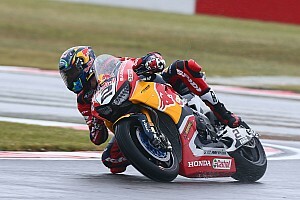 Still, he came away with another Superpole race win and won two main races by over eight seconds from Rea. Every circuit the bike competes on this year will be a new challenge for Ducati, and with the series arriving in Europe this weekend for round three at the Aragon circuit in Spain, the Italian manufacturer faces a tricky circuit that combines elements of both Phillip Island and Chang. Two long straights, several heavy braking areas, high speed corners and some really twisty sections will test the V4 R’s point-and-squirt abilities to the max. But if Bautista can find the same feeling as he's enjoyed up to now, then it would be a brave person indeed who would bet against the Bologna marque taking yet another hat-trick of wins. Temperatures are likely to be lower at Aragon than in Australia or Thailand, but if the climate difference between those two venues is anything to go by, the bike should have no issues. It is clearly economical on its tyres and affords Bautista the ability to keep pushing late into races, extending the gap behind lap after lap with effortless consistency. Attributes like this will serve the bike well as the season progresses, and undoubtedly it will only get stronger as Ducati learns more from each circuit and strives to keep ahead of its rivals. If the prospect of the V4 R tackling new circuits was ever a concern for Ducati however, the bike has also proven itself in the Italian CIV championship in the hands of Ducati test rider Michele Pirro, who won both races during last weekend's first round at Misano for the factory-backed Barni team. Results like this are vital for Ducati going forward into the season, the all-important data gathered by the likes of Barni in CIV and PBM in British Superbikes giving them insight into how the bike performs in different climates, on different circuits and on different tyres. This information alone is useful for the factory; that the bike is still unbeaten in WSBK and other series simply underlines the remarkable job Ducati has done with its creation. The move from a v-twin to a V4 engine should in theory have given it slightly less power, but the V4 R is able to really stretch its legs on the straights and simply hasn’t looked under threat so far. 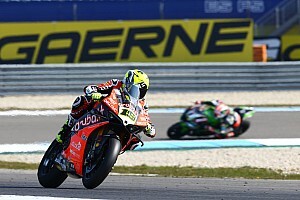 While the bike continues to go from strength to strength, what of Ducati’s new hero Bautista? 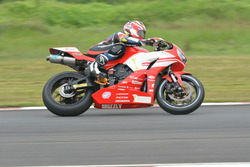 The Spaniard is no doubt up for the challenge and has taken to the premier superbike series like a natural. 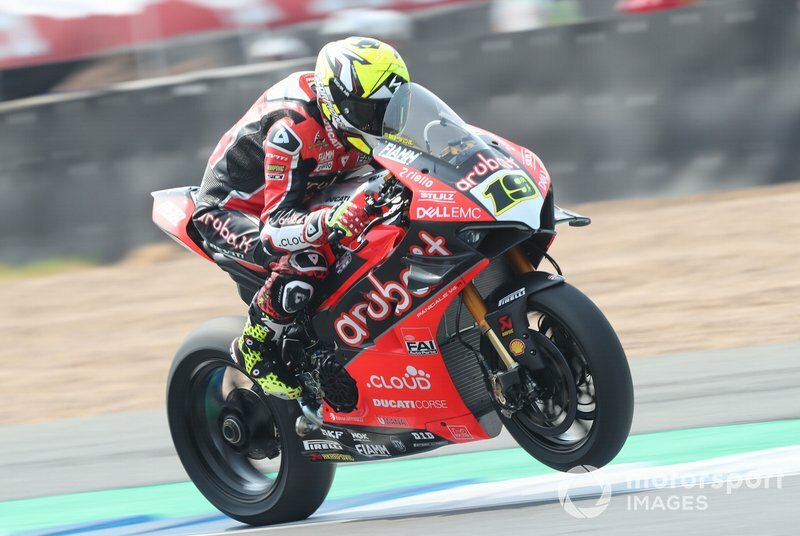 Yes, he’s a MotoGP veteran, but the bikes are distinctly different in handling and performance, especially with the different tyre, and it is testament to Bautista's skill and grit that he has faced down the standard bearer Rea (and the rest of the field) in such convincing style. 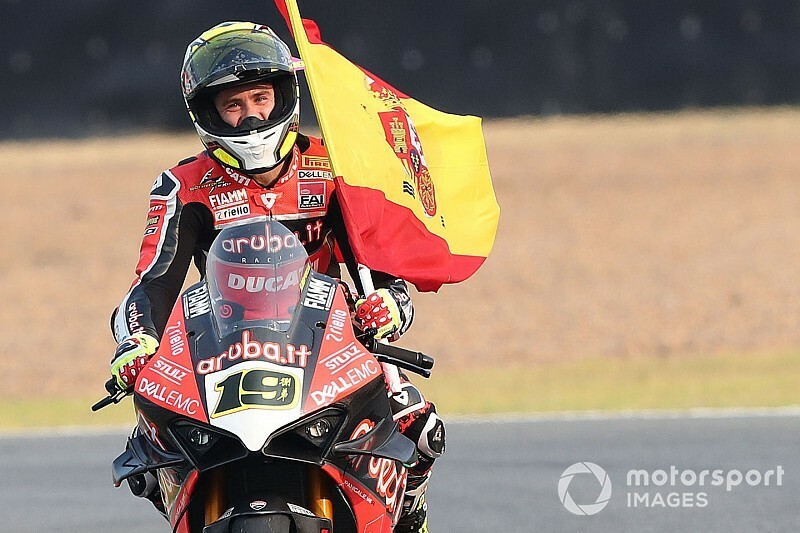 Bautista himself said that “winning is everything” and is clearly revelling in showing what he can do and taking home the trophies after years of running in the midfield in MotoGP. Glancing at the rest of the calendar, it’s difficult to say where in theory the Ducati-Bautista combination could face a serious challenge based on the evidence so far. 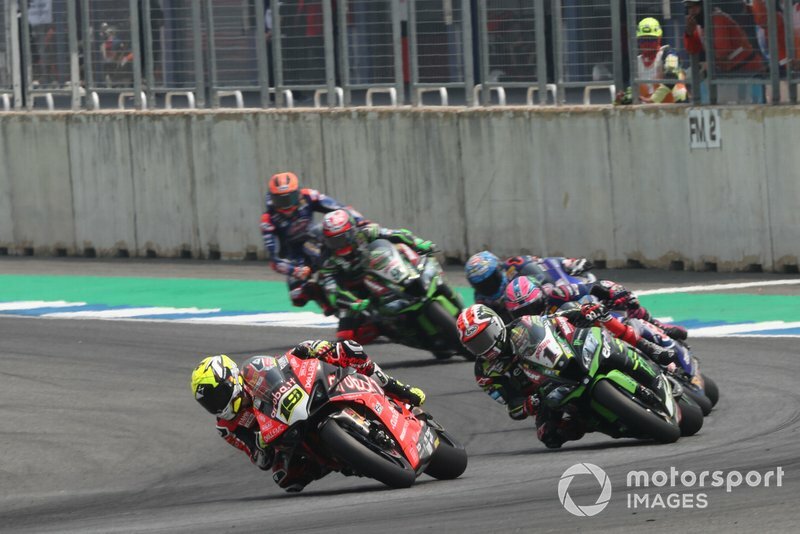 Granted, motorcycle racing is a fickle sport, and we have seen even the mightiest teams and competitors err on occasion, whether it’s a dodgy set-up, unpredictable weather or simply rider error. But if Bautista and the Ducati team can keep their minds focussed, their wheels in line and the throttle pinned then they have to be surefire favourites for lifting the title come the final round of the season in Qatar - or possibly before.